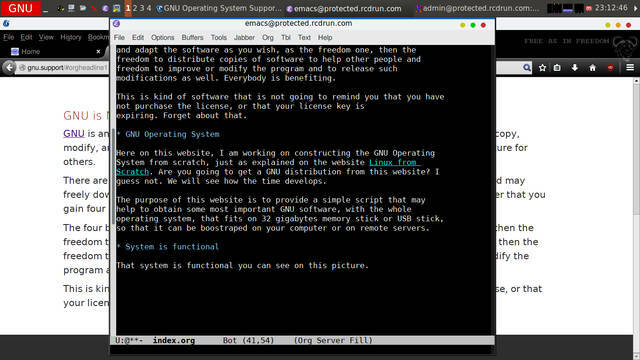 GNU.Support is a program to build a GNU Operating System so that GNU users may understand and learn about free software. The program is supporting users to obtain the GNU Operating System. It is not an operating system in itself, and does not provide binaries. Yet it is supporting the users to obtain the GNU software sources to build the system on their own. GNU is an operating system that consists solely of free software that everybody can obtain, copy, modify, and release, even sell, provided that same rights and freedom is protected in the future for others. There are many different versions of GNU operating system that everybody has access to and may freely download them. The full operating system and its software is licensed in such a manner that you gain four basic freedoms. The four basic freedoms are the freedom to run the software as you wish, the freedom zero, then the freedom to study, inspect, analyze, and adapt the software as you wish, as the freedom one, then the freedom to distribute copies of software to help other people and freedom to improve or modify the program and to release such modifications as well. Everybody is benefiting. This is kind of software that is not going to remind you that you have not purchased the license, or that your license key is expiring. Forget about that. This website is about teaching how to install the GNU Operating System on your own. The purpose of this website is to provide a simple program that may help you to obtain some most important GNU software, so that the whole operating system may be built, and that should fit on 32 gigabytes memory stick or USB stick, so that it can be boostraped on your computer or on remote servers. GNU is Not Unix! This is the primary postulate. We will teach users to become programmers. We are going to use Skarnet S6 software for init and supervision of the GNU operating system. It implies, that system is without SystemD, and thus care free. We are going to implement the slashpackage hierarchy by D.J. Bernstein, for which we need to implement either GNU Stow or some similar program. There will be an option to use GNU Stow, and not by default. This is to make the system compatible to variety of software. The system will be built from source, and will not be offered as binary distribution, in fact, it is not a distribution at all. This postulate may change in the future. We will follow the Free System Distribution Guidelines (GNU FSDG) even though this is not going to be a distribution at all. That system is functional you can see on this picture. Org mode is one of features of our Reach, Connect, Deliver Website Revision System, or shortly RCD WRS. It was a matter of few minutes, to add the new page type to be Org type, and instead of the standard markdown to process pages, I have added as small Lisp program as pre-processor, that is invoking Emacs to process Org files into markdown, and then the markdown to html. I recommend reading about website revision system on the GNU website. makemime.lisp is small peace of software that creates the multipart/alternative message by using the Courier MTA's excellent command line tool makemime and sendmail. This piece of software basically replaces in RCD Business the need for cl-sendmail or cl-smtp yet it is effective and fast. RCD Business is software to generate wealth. It is based on RCD principles of Reach, Connect, Deliver, the RCD formula to generate wealth and it is the formula of implementation of wealth generation plan. The software consists of 3 parts, the website revision system generating static websites with dynamic inclusions, the customer relationship management and enterprise resource planning software. It has been devised for Internet and online based companies usually registered offshore and being free of oppressive governmental regulations. 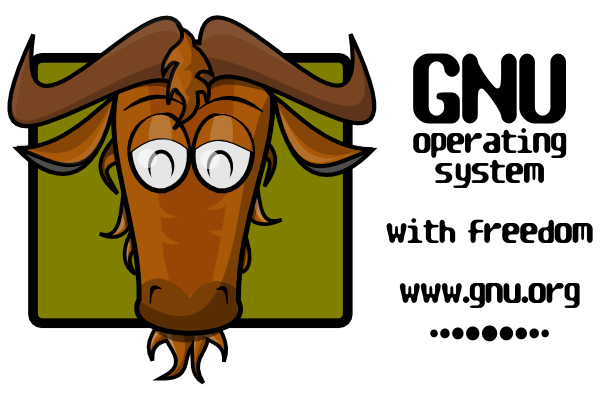 GNU.Support website is publishing software that we are using in our business and management, generation of wealth, and software snippets that helps in everyday activities of maintenance of a GNU operating system. date-time.lisp is small file with functions relating to date and time, timestamp and similar. shelltools.lisp contains small Lisp functions that are used in RCD Business software. This short article will explain you how to copy the HTML snippets directly from your Internet browser to Markdown files. In case of any troubles, contact GNU.Support and we will help you set this powerful system for static website publishers and Markdown users. I wish to share how I am copying the HTML snippets from web pages and converting them into markdown files on the hard disk directly. Contact GNU.Support Website. There is a simple rule at GNU.Support: if we can help you, we do, whenever and wherever necessary, and it's the way we've been doing business since 2002, and the only way we know. This is the sitemap for the GNU.Support website with all its public categories and pages. The sitemap has been generated by using Lisp programming language, implementation CLISP, and by using the CL-EMB package. That way each page becomes a Lisp program. At the moment of generation at local computer, the sitemap is generated and HTML is created. GNU Common Lisp - CLISP is an ANSI Common Lisp Implementation and general-purpose programming language and an Artificial Intelligence language, interactive, a Lisp for professional use, a standard language: the syntax and semantics will not change tomorrow at someone's whim, easy to test (interactive), easy to maintain (depending on programming style), portable across hardware/OS platforms and implementations (there is a standard for the language and the library functions), needs only 4 MB of memory, implements most of the ANSI standard, as well as many extensions, can call your preferred editor, is freely distributable. Articles on GNU Operating System and Free Software may help you understand the importance of using free software on your computers, and gaining control over your information, recording, your data and files. Your privacy shall be the most important to you, yet, today so many are trusting their information to third party companies and allowing the secret, proprietary software to run on their computers. Even without seeing those people face to face. The GNU.Support is the program to build a variety of GNU Operating System as provided by http://www.gnu.org with the minimalistic approach for education in programming and practical business purposes.